Last-minute special guest David Thewlis will attend the opening of the Off Plus Camera Film Festival at Krakow’s opera house this evening. Thewlis (best known as Remus Lupin in the Harry Potter films) will collect the ‘Pod prąd’ (Against the Current) prize in recognition of his support for independent cinema. The award has previously gone to Jane Campion and Tim Roth. 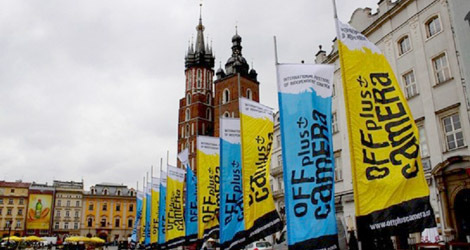 The Off Plus Camera Film Festival is now in its fifth year and has built effective partnerships with several, guilt-edged venues worldwide, including Busan in South Korea and the Sundance Film Festival – the latter providing support and advise to OPC organizers on tailoring their program. “The list of our associates has become more and more extensive over the years. This year we have benefited from partnerships with major indie players such as the Slamdance Film Festival and non-profit organisation Women Make Movies,” the OPC’s Artistic Director Anna Trzebiatowska told the Krakow Post. An international jury, headed by Polish cinéaste Andrzej Żuławski, will be handing over $100,000 to one of the 12 independent features in the running for the Krakow Film Award. The Festival’s Polish Film Noble section features eight of the finest examples of contemporary Polish cinema, including Wojciech Smarzowski’s Rose, Dawid Leszek’s Ki and animated documentary The Path to Beyond, which has had a sadly limited distribution. German director Volker Schlöndorff will give a lecture to celebrate the tenth anniversary of the Wajda School as the part of the festival’s educational program, which will also include an audience with Tribeca Film Festival director David Kwok and a lecture on the video essay by film critic Kevin B. Lee. The festival will also feature a retrospective of British filmmaker Roland Joffe’s cinematography and French mogul Luc Besson will present The Lady (2011), his acclaimed biopic of Aung San Suu Kyi, to local audiences. There will also be a chance to see the premiere of the digitally re-mastered version of Andrzej Wajda’s masterpiece The Promised Land (1987). The festival continues until April 22 at venues across the city. See the Off Plus Camera website for more details.